If you’ve bought a bicycle in the past 100 years, chances are it’s been powered by a chain. While the trusty bicycle chain has done cyclists well, it has its downsides too. Chains rust, stretch and need lubrication. They also wear out quickly. In looking for another option, Gates set out to not only improve cycling, but revolutionize it. In the process, they created Gates Carbon Drive. Gates Carbon Drive belts use carbon fiber in a urethane body. The belts don’t require lubrication and last three times longer than a chain. Paired with matching sprockets, they provide a smooth ride without the downsides of a traditional chain. The Gates system is stronger, quieter and requires less maintenance than chain-based systems. It won’t leave any marks on your pants. And you’ll never have to pull over to fix a dropped chain. Come to think of it, revolutionary might not even do it justice. Bike Knack is proud to provide Gates Carbon Drive to individuals and dealers via our online Shop. We can provide detailed advice on choosing a system that will meet your needs. Bike Knack even offers belt drive conversion for suitable frames. We can also alter gear ratios or upgrade from CDC Mudport to CDX Centertrack. The newer CDX Centertrack system allows for easier belt alignment and lower belt tension, leading to longer bearing life and improving performance on less rigid frames. CDX Centertrack Blue, Black and now Red belts are available in 108- to 125-tooth lengths. 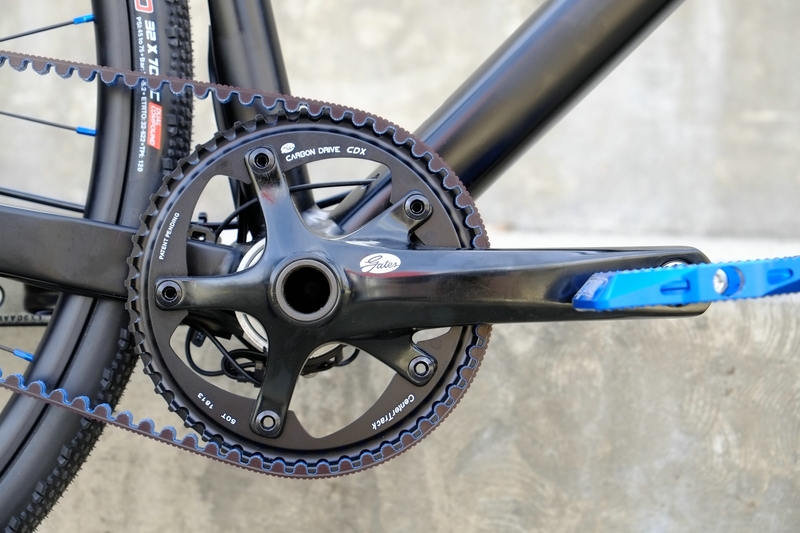 Gates Carbon Drive CDX Front Sprockets (22- to 70-tooth) mount on standard 130 mm BCD 5-arm or 104 mm BCD 4-arm crank spiders, as well as Bosch or Pinion spline. CDX Rear Sprockets can be fitted to Rohloff, Nexus, Alfine, Nuvinci, Sram G8, Sram E-matic, 9-spline, 9-spline 6-bolt, Surefit 3-lobe and thread-on (freewheel and fixed) configurations. 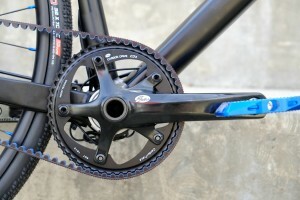 CDX Cranksets are also available for both manual and Di2 shifting. Tandem bikes can use a CDX Tandem Belt and 66, 69 or 74-tooth CDX Tandem Sprockets. We also provide Gates Carbon Drive parts for CDC Mudport Belts, CDC Mudport Front Sprockets and CDC Mudport Rear Sprockets. If you have questions about Gates Carbon Drive, you can contact Dave by email, on 0437 017022 or via the Contact page.